Boston — The Baker-Polito Administration and the Community Economic Development Assistance Corporation (CEDAC) today announced $4 million in grant awards for facility improvements at early education and care programs that serve low income children. 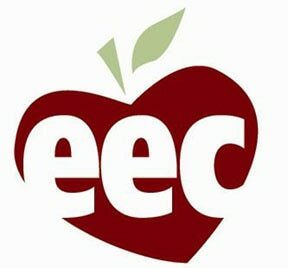 Four agencies were selected to receive an Early Education and Care and Out of School Time (EEOST) capital improvement grant, which will help increase the quality of their early education programs through critical facility repairs and renovations. Governor Charlie Baker made the announcement today at the Crispus Attucks Children’s Center in Dorchester, the site of one of the facilities funded by the 2018 grant awards. The Early Education and Care and Out of School Time capital improvement grants are financed through the state's capital budget and provide matching funds that leverage private investment. The Baker-Polito Administration's FY18 Capital Budget Plan included $4 million for the Early Education and Out of School Time grant program. In May, Governor Baker signed An Act Financing the Production and Preservation of Housing for Low and Moderate Income Residents (H.4536), which authorized $45 million for the EEOST Capital Fund. All of the programs selected to receive a grant award serve publicly subsidized families, have demonstrated financial need, and have secured additional funding to pay for a portion of their project costs. The Department of Early Education and Care partnered with CEDAC's affiliate, the Children's Investment Fund, to administer the grant awards. All of the grantees are non-profit corporations or organizations in which a non-profit corporation has a controlling interest.